I have great news! Pacific Monsters is shortlisted to British Fantasy Awards as Best Anthology, competing with four other strong anthologies! I am such a happy editor! This is the third year in a row one of the annual monster books I edit is shortlisted to this award. I’m very humble and grateful. Thanks to everyone who voted and the jury, and congrats to all the lovely authors and artists who made Pacific Monsters possible, and Adele Wearing at Fox Spirit Books. There are so many great names on the nominee list: James Everington, Jen Williams, Tade Thompson, Alasdair Stuart, Andy Cox, Emma Newman, Daniele Serra, Ruth EJ Booth, Neil Gaiman, MR Carey, to name a few. Congratulations to all nominees! And, Fox Spirit Books is once again shortlisted to Best Independent Press! Think this is the fifth year in a row (won in 2015). 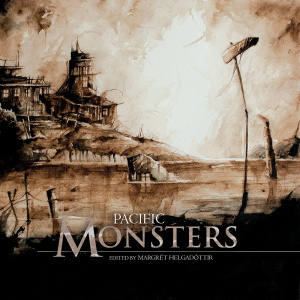 Pacific Monsters has already received attention, including shortlists of its stories to awards such as Aurealis Award (Australia), Sir Julius Vogel Award (New Zealand) and the Australian Shadows Award. I also received Starburst Magazine’s Brave New Words Award for my editor work on this book. This book stands out from the other monster books so far because it has so many stories written by indigenous authors. 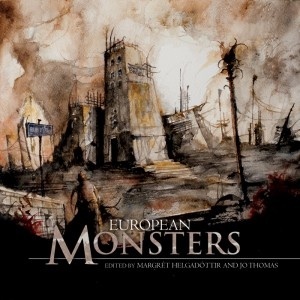 The Fox Spirit Books of Monsters is a coffee table book series from Fox Spirit Books with dark fiction and art about monsters from around the world, written by local authors, seven volumes between 2014 and 2020, starting with Europe in 2014, continuing with Africa in 2015, Asia in 2016 and Pacific area (Australia, New Zealand, and the Pacific Islands (including Hawaii) in 2017. Volume five and six will cover South, Mid and North America (including the Caribbean islands) before the series end with Eurasia (including Russia, Eastern Europe and the Balkan) in the end of 2020. I was also shortlisted to British Fantasy Awards 2016 as author with my debut book The Stars Seem So Far Away. I haven’t been updating my blog for several months, and I also have much to tell, including coming essays and short stories, so will update the pages in coming days.